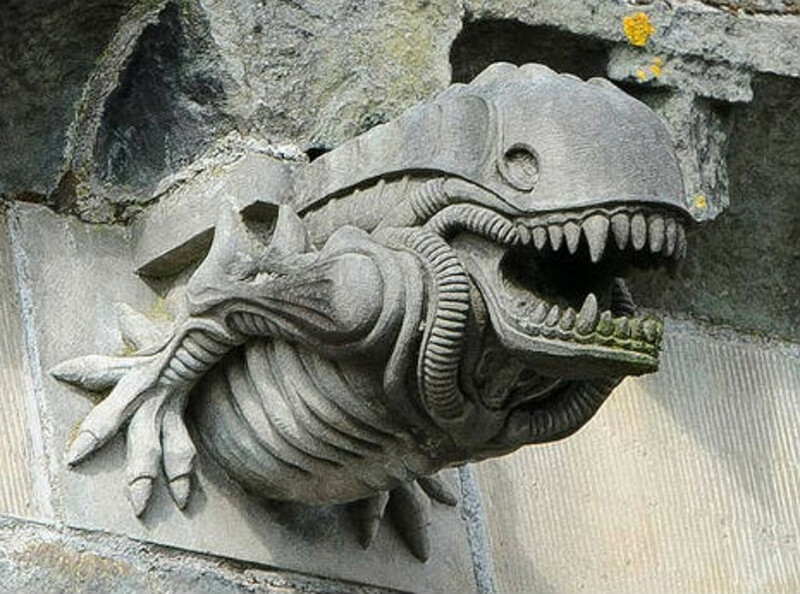 A gargoyle on a 13th century Scottish abbey has become an Internet sensation due to its resemblance to the creature from Alien. Paisley Abbey was originally founded in 1245, and rebuilt in the early 1300s, and the recent “discovery” of an Alien-like gargoyle has inspired considerable media speculation about the sculptor’s extraterrestrial influences. However, following pictures of the Alien-gargoyle appearing on-line and in news reports, it has been revealed that the Abbey had some renovations in the 1990s, which included many of the original gargoyles being replaced. Minister of Paisley Abbey, the Reverend Alan Birss suspects that one of the stonemasons involved in the renovation may have been having a bit of fun.